For those who are looking for a relaxing city escape, Park Hyatt Seoul has prepared the Spring at the Park package. After a relaxing night enjoying the city night scape, guests can enjoy Korean or western-style breakfast in their rooms. 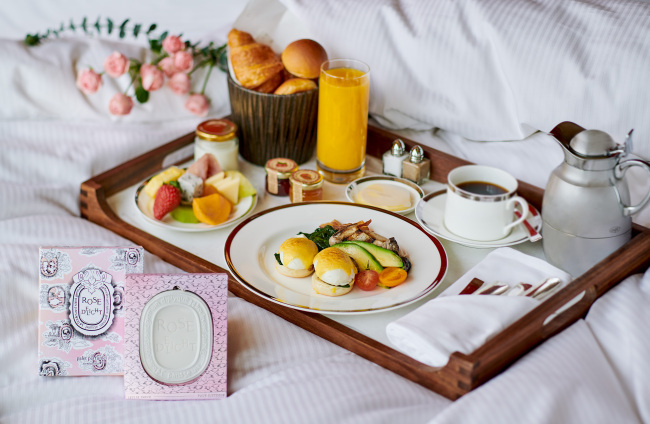 A rose scented air freshener from premium perfume brand Diptyque will be offered to fill up the rooms with the fragrance of the flower. For those who are staying at Suite rooms, a bottle of red wine will be provided as well. Millennium Seoul Hilton’s Italian restaurant, Il Ponte, is to host a gourmet showcase featuring Sicilian dishes. The special five-course menu centers on the use of fruits of the sea, reflective of Sicily‘s geographic characteristic. 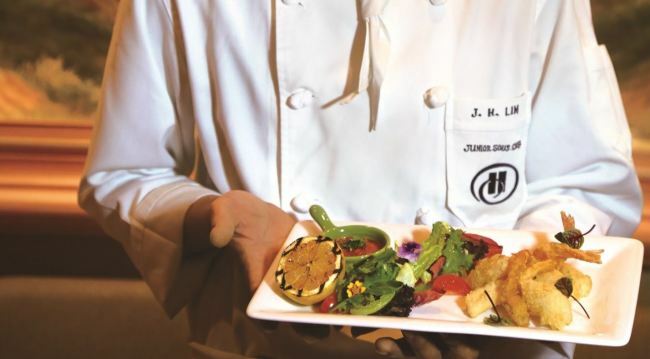 The promotional set-course menu consists of soup, pasta, beef or fish plate and dessert. The Sicilian food promotion is available in March, priced at 98,000 won per person. For reservations or inquiries, call Il Ponte on (02) 317-3270. Sheraton Seoul D Cube City Hotel offers What Ladies Want Package -- for, of course, exclusively ladies. With the package, female guests can enjoy a glamorous night out at a private space in the hotel’s club lounge, famous for its picturesque view of the city. At the club room, guests can enjoy four bottles of craft beer and one bottle of wine, along with a delicious food platter, consisting of Margherita pizza, Caesar salad and fried potatoes. After an exciting night out, a lavish continental breakfast buffet will be offered. The package is designed for two persons but could permit extra guests at additional charge. The promotion will be available throughout the year at the price of 340,000 won. For more information or reservation, call (02) 2211-2100. 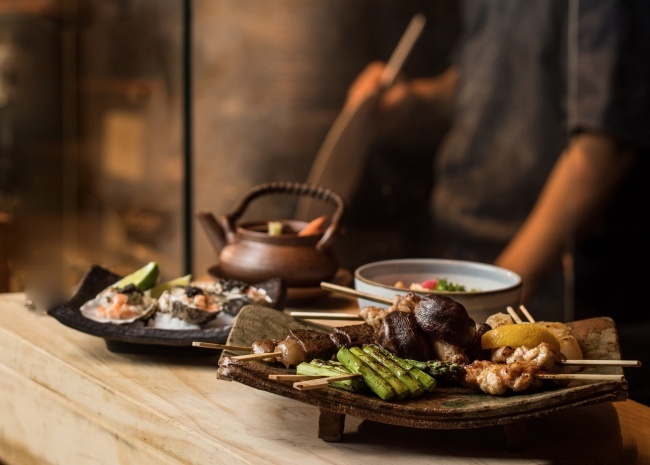 Grand Hyatt Seoul Hotel’s Japanese pub and restaurant Tenkai will open its doors to diners not only at night but also at lunch time from March. Before, it had only served dinners and late-night drinks, but now it is now inviting visitors for a quick yet satisfying luncheon. Able to hold 32-diners at once, Tenkai offers an exquisite dining experience to visitors, with its interior decorated in a modern yet traditional Japanese mood. 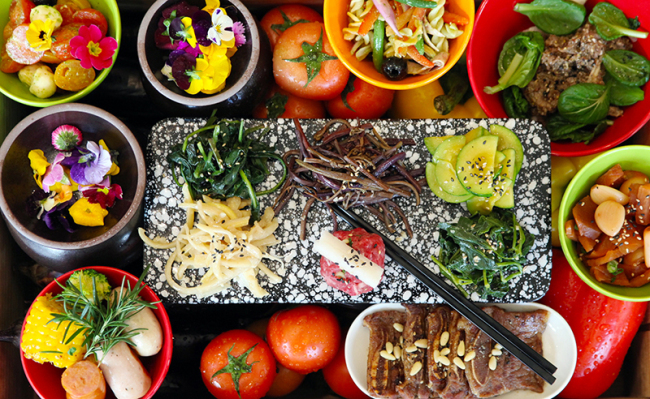 Lunch set menus, comprised of multiple small dishes, are priced from 45,000 won to 55,000 won. Lunch can only be served between 12 to 2:30 p.m. For more information and reservations, call (02) 799-8899. At Sheraton Grand Incheon’s buffet restaurant Feast, diners can feel the spring season through a gourmet experience, tasting numerous dishes made with fresh in-season ingredients. The buffet is highlighted by special green bibimbap and herb medicine galbitang (beef soup). Other cuisines prepared with fresh spring vegetables are also available. The spring feast will be available until April 22, at the price of 39,000 won for lunch and 59,000 won for dinner on weekdays. On weekends or holidays, the buffet is priced at 59,000 won for lunch and 79,000 won for dinner. For more information or reservations, call (032) 835-1710.